The Iceman is an Ibanez guitar produced by Hoshino Gakki. 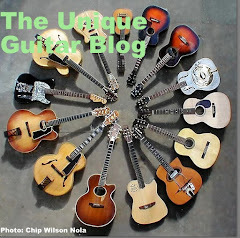 To understand the guitar, you need to know a little about the company. 102 years ago when Western music was just reaching Japan, Matsujiro Hoshino opened a music business. In 1908 he opened a facility to sell sheet music and organs. 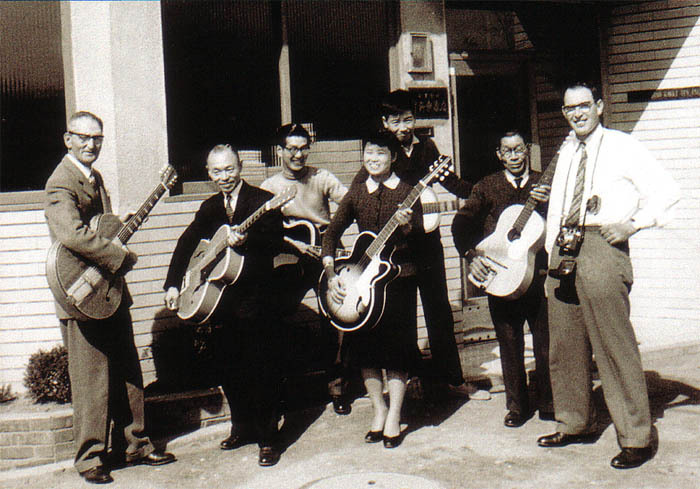 In 1929 Hoshino opened a manufacturing facility called Hoshino Gakki Ten, to produce its own musical instruments. By 1935, Hoshino began in the Spanish guitar business and sold guitars domestically under the brand name, Ibanez-Salvador. It seems that Asian and European companies like to put Spanish sounding names on guitars, with thoughts it would increase buying potential. The Ibanez factory was destroyed during WWII. By 1955 the company opened as an export only business. 1962 was the start of the British Invasion and guitar craze and Hoshino began exporting guitars under the Greco brand that were manufactured by subcontractor. They also manufactured, exported and sold drums under the brand name Tama. By 1971, Hoshino had established a U.S. distributorship through the Elger Company of Pennsylvania. Around this time Hoshino started making copies of U.S. instruments and they were etremely excellent replicas of Gibson and Fender guitars that sold for less than half price of a U.S. made instrument, due to lower labor rates. The replicas were too good. Gibson filed suit against Hoshino. Hoshino had to make some changes to their instruments. They also wanted to build an original Japanese guitar and get out of the replica business. The resulting guitar was called the Ibanez Iceman. A meeting occurred between Hoshino, which made Ibanez guitars, and Kanda Shokai, which manufactured Greco instruments and FujiGen one of the largest guitar factories in Japan. Their goal was to come up with an original design, build the guitar and create a marketing plan. This meeting resulted in the Iceman/Mirage design. Each distribution company would have distribution rights to it in different global markets. 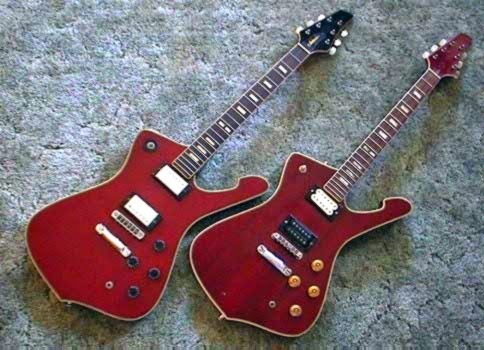 The Ibanez model would be named the Iceman and the Greco model would be named the Mirage. They are essentially the same guitar except for the pickups and a few other factors. 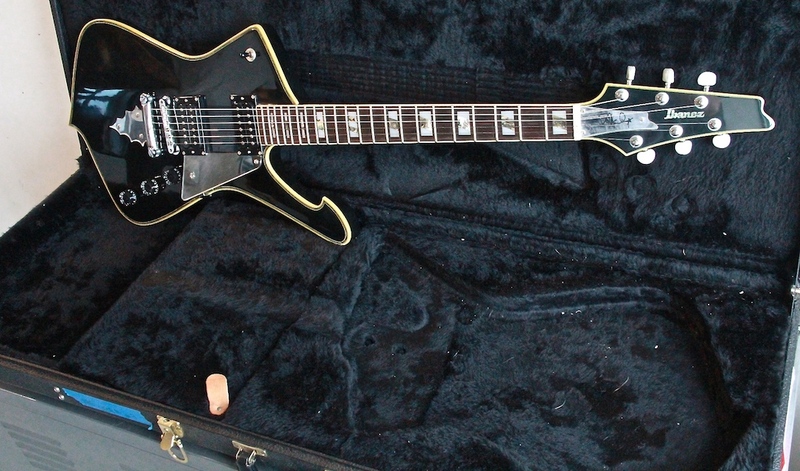 The Ibanez Iceman sported Super 2000, Triple Coil and V2 pickups. The Greco Mirage used their own version called Greco Dry picups and also DiMarzio Super II pickups on the Greco Mirage. Wood, pickups and neck joint construction varied on each version, based on model numbers and quality. The earliest Ibanez Iceman models from 1975 were called Ibanez Artist models. Not until 1978 did Ibanez use the designation became The Iceman guitar. The original model guitars have the elongated headstock with three on a side tuners. 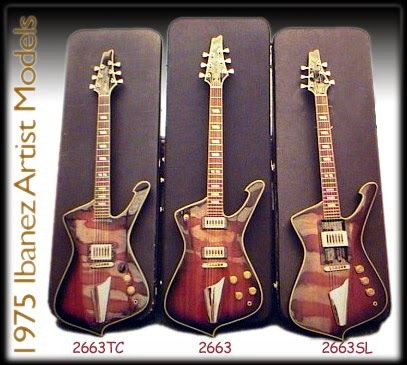 In 1979 Ibanez produced several different models varying in price and quality. Some came with fixed necks and some had bolted on necks. In 1982 to 1983 the headstock was changed to have 6 in line tuners. In 1976 Paul Stanley of KISS was approached by Hoshino to endorse a guitar He chose the Artist 2663, which was the original designation of the Iceman. Stanley was allowed a lot of input in this guitars design. The resulting signature guitar was dubbed the PS10. Stanley said, "First of all, the Iceman and the PS10 have about as much in common as a Chevy and a Rolls Royce..." "I came up with a guitar; construction, frets, inlays, wiring, the type of tail block that has the sustain block built into it, the half brass/half bone nut and so on..."
\Stanley used the PS10 as his primary guitar from the 1977 to 1980. He used it again from 1992 to 1997 before signing a contract with Washburn for a signature guitar at that time. In 1995 the PS-10 was reissued as the PS10-II. The following year an updated model was offered called the PS10-LTD. The in 1997 the PS10-CL (classic edition) was offered. These were the same guitar except the LTD was Japanese made and the CL was manufactured in Korea. Stanley is quoted as saying, “The Iceman and the PS-10 have about as much in common as a Chevy and a Rolls Royce.” Needless to say, Stanley preferred the Artist Model over his own namesake instrument. Daron Malakian of System of a Down favoured this guitar from the early days of System of A Down.. Daron had his own signature model, the Ibanez DMM1. 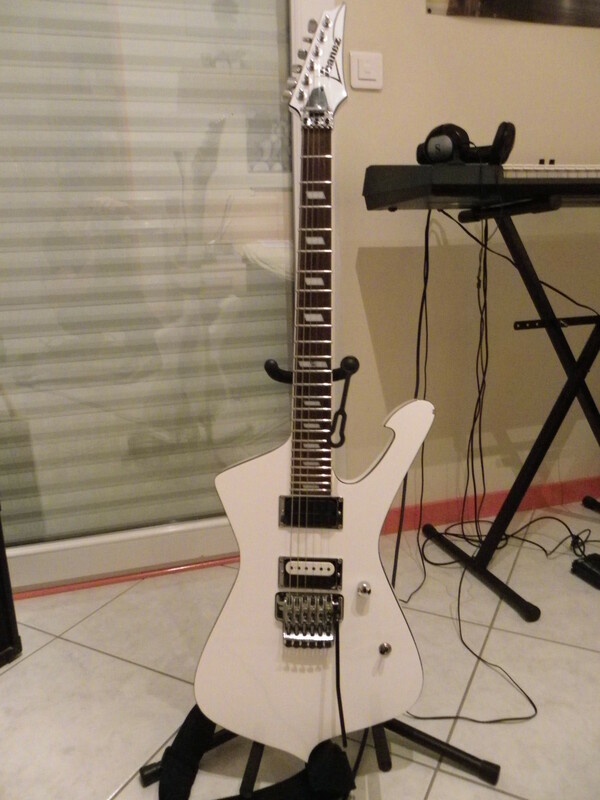 It was a limited edition run based on the Ibanez Iceman ICX shape and features a special graphic design painted by Daron’s father, Vartan Malakian. Only 300 were made. The Iceman was also redesigned by Paul Gilbert, who is another Iceman endorser and has a signature model. On this model the body of an Iceman was flipped upside down and given a cutaway in order to reach the higher frets. The 2 new designs had natural wood finishes, one mahogany with cherry top, and one with korina wood and three single coil pickups. Paul Gilbert's newly designed model was introduced at the 2009 NAMM show as the "Ibanez Fireman" (PGM-FRM1). 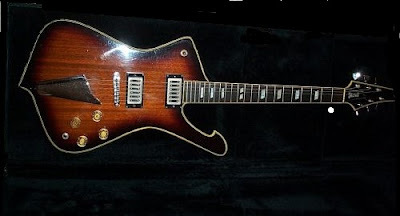 In 2009, the Iceman was redesigned by Paul Gilbert using Photoshop, which allowed him to flip the body over. Since the cutout was now on the other side, they added a smaller cutout. There were two designs; both of a natural wood finish, one with mahogany with a cherry fret-board and another with korina wood. In addition to the 3 pickups, this instrument features a 24-3/4" scale length (shorter than the others), a set 3-piece korina/bubinga neck, rosewood fingerboard with 12" radius, 22 frets (instead of 24) and a fixed Gibraltar II bridge. The pickups on the Gilbert model are Dimarzio Area 67 single coil hum-cancelling models. The designation Fireman is due to the reverse body, since Fire is the opposite of Ice. Another different model of the Iceman was known as The STM which is a special version of Iceman designed for Sam Totman of Dragonforce. Essentially it is an Iceman with a 24-fret neck-through neck and Edge III tremolo instead of a hardtail bridge. This is the first production Iceman since the 1990s to have a whammy bar. The majority of Ibanez Iceman guitars sport a 24 fret, two octave neck with a 25.5 inch scale and come with two pickups. Many models use DiMarzio pickups D Activator pickups that deliver a powerful sound without active circuitry. The X-Series guitars feature neck through body construction with the model DT700 being the first to utilize this feature. The fixed bridge models feature the Gibraltar Custom bridge and thru-body stringing. Most tremolo models feature the Edge III trem system. The necks are made of 5 piece maple and walnut laminate. The fretboard is made of bound rosewood with reversed sharktooth inlay and is topped with Jumbo frets. The body is made of mahogany. The controls are simple; one volume and one tone potentiometer and a 3-way toggle. From 1975 to 1983 Ibanez and the other distributors built eight different models that ranged in price from $400 to $800. 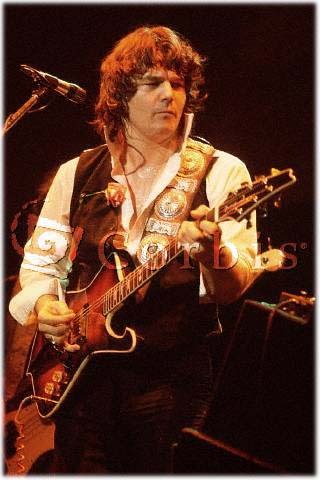 Steve Miller played an Iceman IC210 on Fly Like An Eagle. Although some changes were made in the Iceman design, the public wanted super-strats in the 1980’s because that is what the Shredders were playing. By 1983 as sales dried up, Ibanez only manufactured two models of Iceman. However serious guitar collectors realized The Iceman was a very well made and unique instrument that would eventually rise in value. In 1994, the Ibanez Iceman guitar was re-introduced to U.S. markets. They are no longer manufactured in Japan. Now they are built in Korea. I guess Karma works sometimes, since there are a couple of Iceman replica guitars floating around. One manufacturer is producing Iceman copies using the Hondo II brand name. This instrument is an excellent copy of the real thing, while another is manufactured by a company using the brand name Odessa. 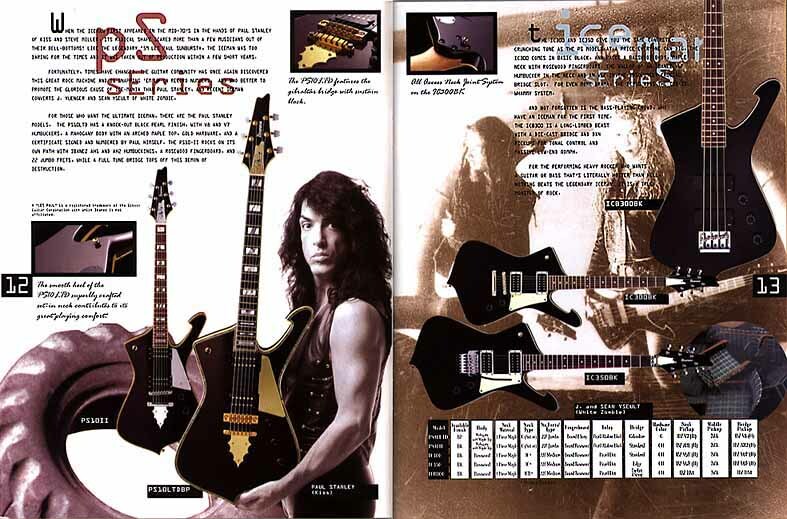 Finally, in rhe 1980's, a company named Antares also made Iceman replica guitars. How come there is no mention of White Zombie's J Yeunger in here he made the Iceman popular in the 90's with is signature Iceman called the Ibanez IC100WZ. It was one of the first Iceman models to have a tremolo instead of a fixed bridge. The Classic was made in Japan, not Korea. Only the PS10-2 was made in Korea.